Find what you are looking for, whether it’s only for information or to help with your travel arrangements. 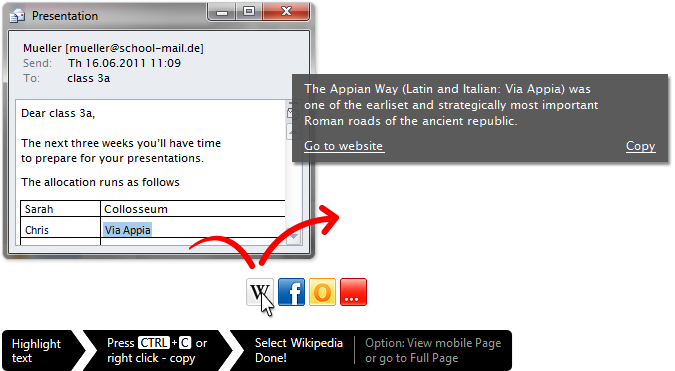 Whether you need to gather information on your own or you are just curious – click.to Wikipedia will do the search, i. e. when the Colosseum was built in Rome. 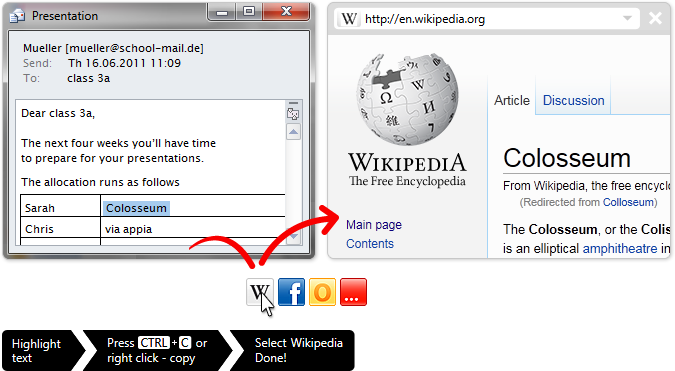 Instead of laboriously opening the browser, calling up Wikipedia and then copying and pasting the word, you now have the ability to do it with one click. If you need your information even faster, you have the option to see your search results in a little quick view window above your mouse.